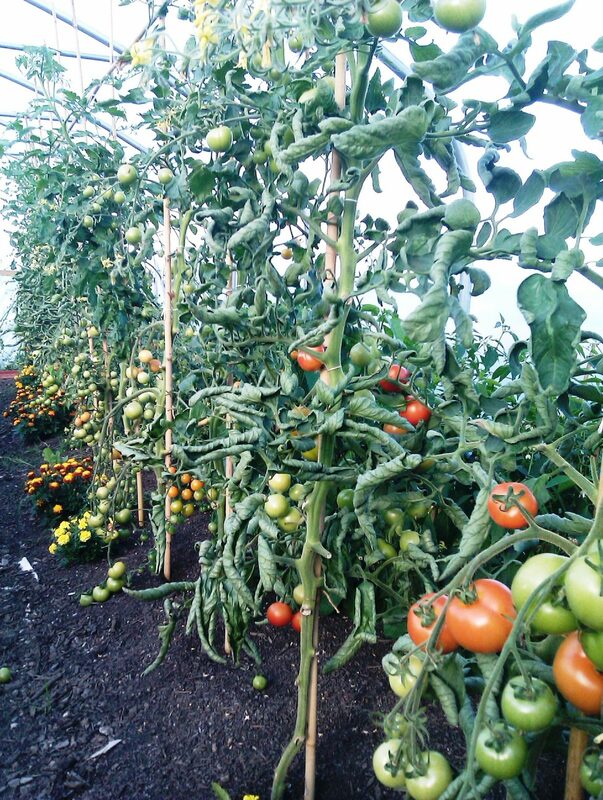 We’ve a glut of tomatoes in Camel CSA’s polytunnel. This quick and easy way of using up a surplus is rich and full-flavoured. I added a big bunch of our homegrown basil at the whizzing up stage. Arrange the tomato halves, tightly packed but not covering each other, in an ovenproof dish. Slice the garlic and place a piece on each tomato half. Drizzle olive oil over the dish evenly and season with salt and pepper. Roast in medium hot oven around 180 degrees until soft, pulpy and slightly charred.River Cottage suggests rubbing through a sieve but for speed and to save waste, whizz in a food processor, skins and all. Perfect as a pasta sauce on its own or as a base for other sauces.